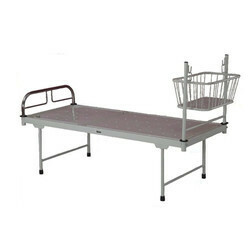 Pioneers in the industry, we offer pediatric bed with side railings and baby crib with bed attachment from India. Pre treated & Epoxy powder coated. Crib Construction, made from mild steel ERW round tubes and bright rods. Swings on two vetical tubes to be fixed to leg end bow. Supplied in Semi Knocked down condition. 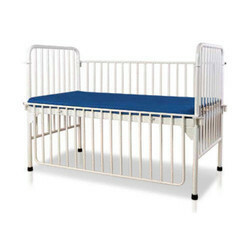 Looking for Pediatric Bed with Side Railings ?